Pakistan's Captain Shahid Khan Afridi has said that Pakistani Team is completely ready to clash with India or Australia in Mohali in World Cup Semi Final. He was talking to Geo News after winning the Quarterfinal against West Indies on Wednesday. On Question of whom he would like to face in Quarterfinal Afridi said we are ready to face any team in Semi Final. Afridi also said that we have no problem to play in India. 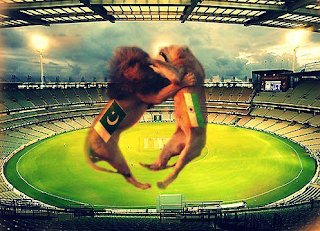 Pakistani' team will be reaching Mohali in few days for Semi Final that will be played on 30th March 2011. Pakistan may include Shoaib Akhtar instead of Wahab Riaz in Semi Final team.